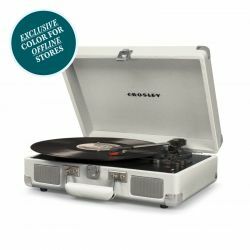 With a fascinating design, Crosley Bermuda Gray Bluetooth is the exact re-edition, in two shades of gray, of the perfect iteration between console and turntable created by Dansette in the 60s. 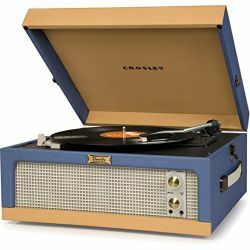 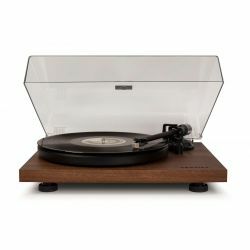 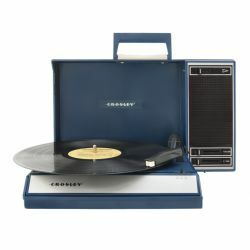 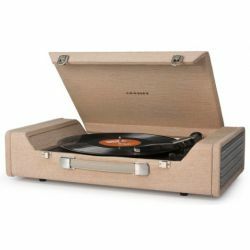 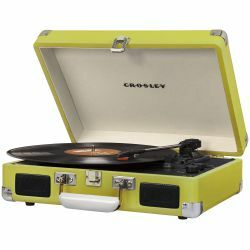 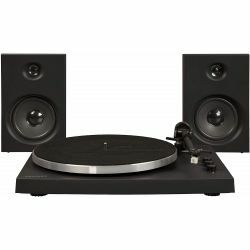 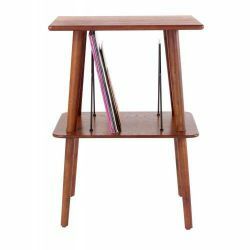 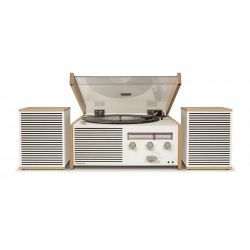 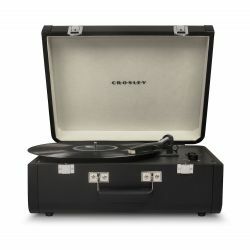 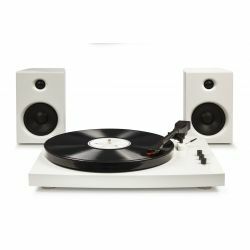 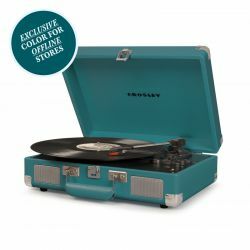 Capable of combining the warm sound of vinyl with an unique piece of furniture, Crosley Bermuda has an audio-grade wood structure, full-range stereo amplifiers, aux-in jacks for listening to music from other devices, aux-out jack for listening in headphones or other audio system and RCA output to connect external speakers. 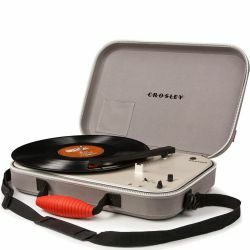 For easier transport, it is completed by a zip closure and a practical handles. 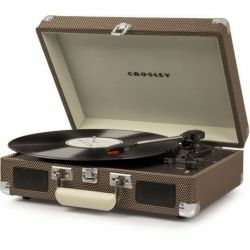 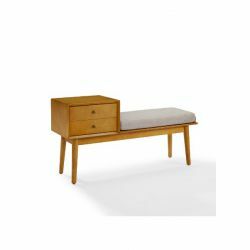 An iconic design item, which follows in its sizes and its original shapes of the English Brand of turnatables, Dansette, of which Crosley has acquired the production rights, Crosley Bermuda Grey is made from a solid wooden cabinet covered with tweed fabric which, if needed, once removed the legs, turns into a practical but elegant briefcase-sized console. 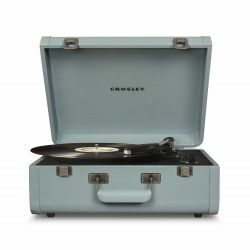 With generous but not excessive sizes (Assembled 38x42x67 cm - Without Legs 38x42x24 cm), Each Crosley Bermuda Grey can also be closed on an LP Playback. 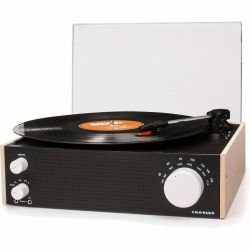 You can also connect a an audio input (iPod, Pc, ecc) via 3.5mm jack (AUX input) in order to listen to your favourite songs playlist, or connect an external speaker (Jack 3.5 mm AUX output) to enjoy an even more powerful sound. 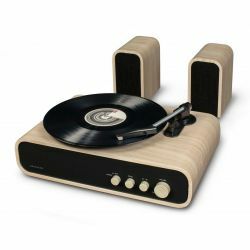 Thanks to the rear RCA you can also amplify it with an external hi-fi system. 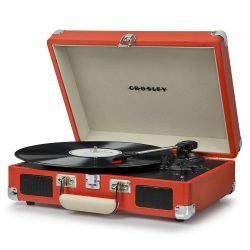 Each Crosley Bermuda Grey, Red, Crosley Dansette and Crosley (available on this website), in addition to the Crosley logo, also presents the "Dansette" metal plate tag. 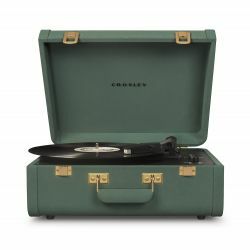 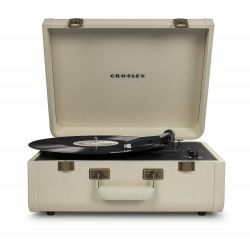 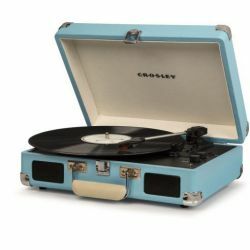 Crosley, in fact, in order to bring the rebirth of thistrue icon to the highest fidelity, has acquired the rights to reproduce it from the Dansette family, even though this brand was far from the shelves of the stores for over 50 years.